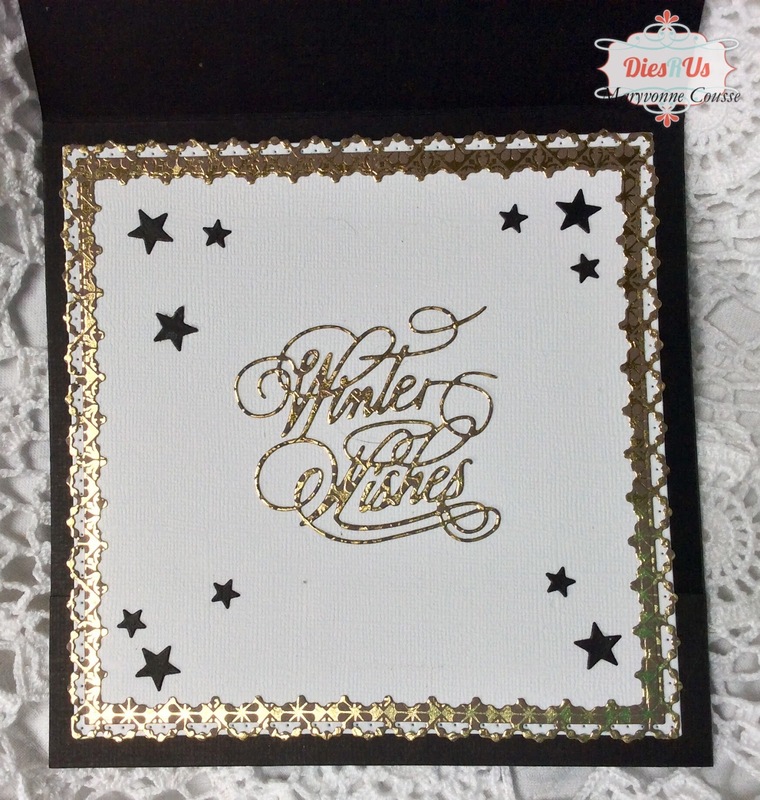 Maryvonne with you today for a Quick and Elegant Christmas card ! 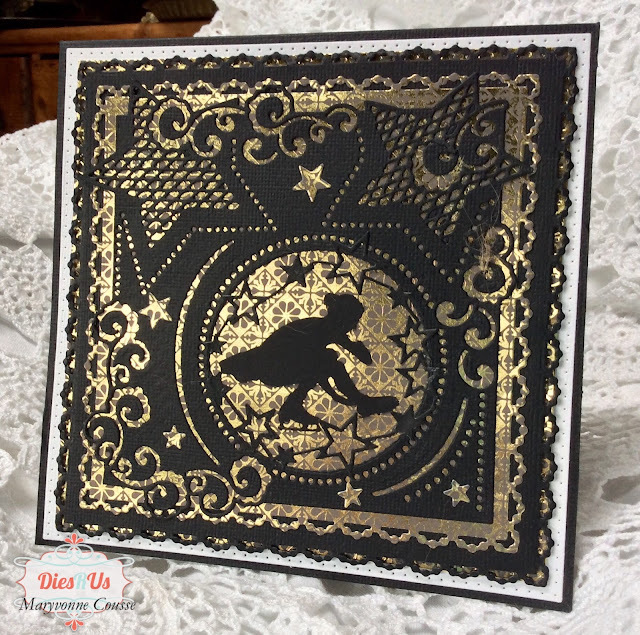 I made this card with Fantastic Jeanine ' s Art Star Frame Die . The Skater is a chipboard of my personal stock. 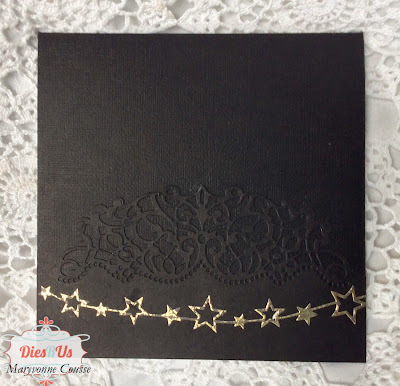 Memory Box - Cosmic Star Border Die . 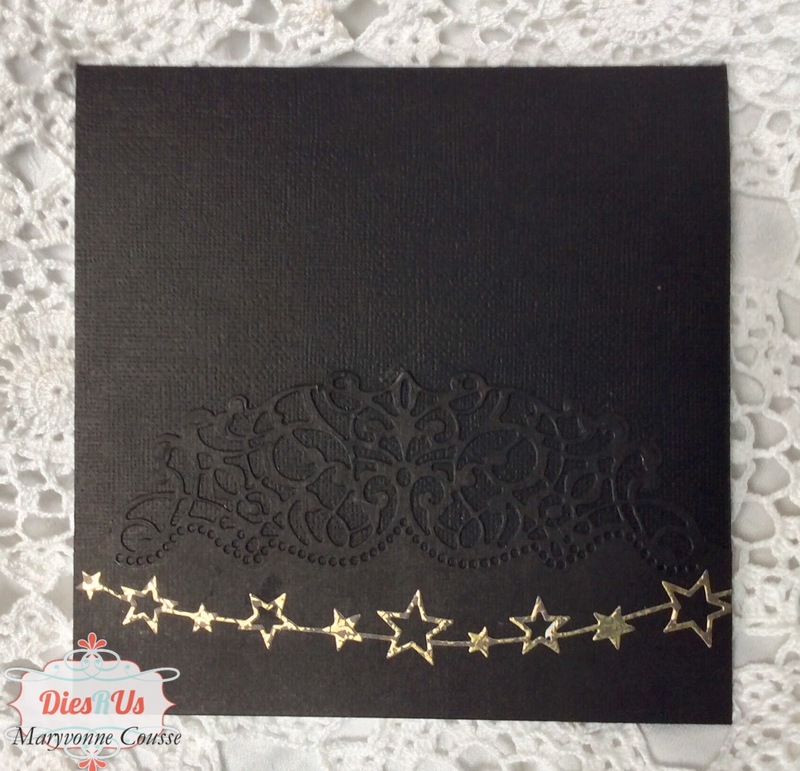 Decorate my card and inside of it . The Sentiment "Winter Wishes" is a die that I had as a gift with a magazine. What a stunning card! The black and gold is so elegant looking. A great use of these dies! Gorgeous card, Maryvonne! That frame die cut is amazing. 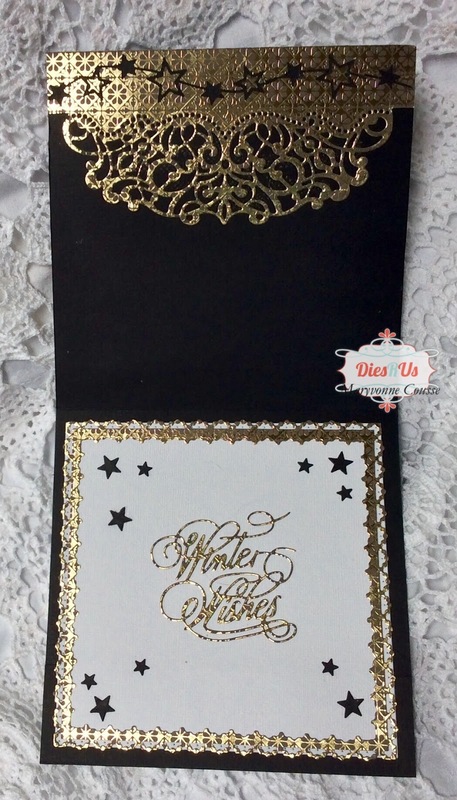 Love the contrast of the gold with black. WOW! Just gorgeous Marvonne! I didn't even know that die was available in the store ... on my wishlist now!! lol Beautiful inspiration ... thanks!